The CIC Prof M Sridhar Acharyulu held on 3rd November 2014 that ‘charge-sheet’ has to be disclosed after separating non-disclosable portions, if any, as per restrictions prescribed under RTI Act. Ms. Usha Kanth Asiwal sought to know from Director of Vigilance Delhi, details of complaint made to Anti Corruption Bureau on 25-04-2001 and inquiry leading to registration of case against 13 persons under Prevention of Corruption Act, which is now under prosecution in Tis Hazari Courts. She sought 22 point information, which broadly relate to contents of the Charge-sheet. The PIO denied the information u/s 8(1)(h) of the RTI Act claiming disclosure would impede investigation or prosecution. The First Appellate Authority upheld the decision of the PIO. She approached the Commission in second Appeal. Though demand was not for copy of charge-sheet, the appellant agreed that a copy of charge-sheet would answer his application. Then issue before the Commission was whether charge sheet was public document, and if so could that be shared under RTI Act with any citizen. CIC Prof Sridhar Acharyulu explained: ‘The charge sheet is a report held by the investigating officer, or public authority or court of law. 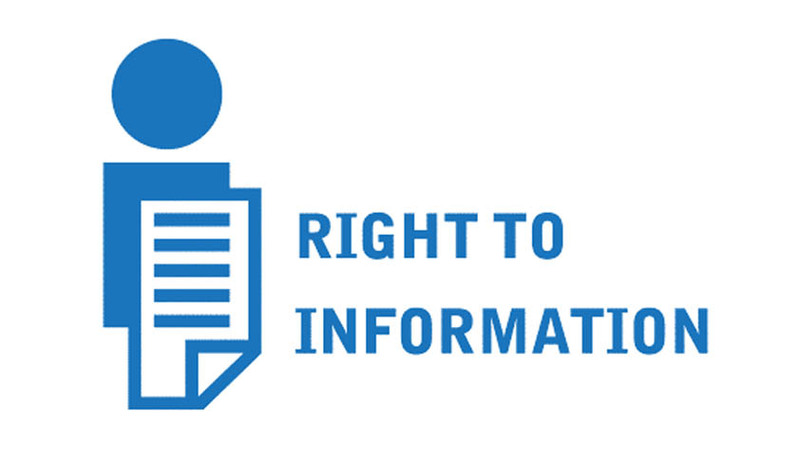 As per the RTI Act, any information held by the public authority can be accessed by the citizen subject to the exceptions provided under Section 8. Because the charge-sheet contains the evidence which need to be adduced in the court of law, there is a possibility of opening up many details which could be personal or private or confidential. If the allegation requires to be proved by call data, the charge sheet refers to sheets of call data, which surely contain call details unrelated to allegation. That could be private information need to be protected. Hence each charge sheet has to be separately examined and only after separating unnecessary and unrelated details of evidence, and only required and permissible information out of chargesheet should be disclosed. Thus Charge-sheet can neither be prohibited enbloc from disclosure nor disclosed totally. Charge-sheet is a document held by concerned authority, which has to examine disclosable aspects vis-a-vis Section 8 and 9 of the RTI Act and then decide the case’. It can be inferred that there is no specific provision anywhere prohibiting the disclosure of charge-sheet and if there disclosure does not affect investigation or prosecution it can be permitted under RTI, unless there is a public interest against disclosure. The chargesheets containing charges under Prevention of Corruption Act, especially against public servants, need to be in public domain, in public interest. Citing several decisions the CIC said: There is no specific provision under any law which state that charge-sheet is a public document, but there are several judgment of the Supreme court and High court which clarify that charge sheet is a public document. Queen-Empress v. Arumugan and Ors ( (1897) ILR 20 Mad 189) has held that any person has an interest in criminal proceeding has a right to inspect under section 76 of the Indian Evidence Act. In N David Vijay Kumar v The Pallavan Gram Bank, Indian Bank in File No. CIC/SG/A/2012/000189 CIC Mr Shailesh Gandhi ordered disclosure of Charge sheet ruling out the contention of exemption under Section 8(1)(j). On the perusal of the RTI application, the Commission found that the information sought by the applicant are the part and parcel of the information contain in the charge-sheet prepared after the completion of the investigation under section 173 of Cr. P. C. The purpose of the appellant will be served if the copy of the same would be provided to the appellant. The respondent authority also agreed to provide the copy of charge sheet. Considering the provisions of Cr.P.C., Evidence Act, RTI Act, erudite judicial pronouncements, certain transparency practices in CVC, facts and circumstances of the case and contentions raised, the Commission holds that the charge sheet is a public document and it shall be disclosed subject to other restrictions provided under RTI Act. There cannot be a general hard and fast rule that every charge-sheet could be disclosed or should not be. Each RTI request for copy of Charge-sheet required to be examined and only permissible part should be given. The Commission, hence, directed the respondent to examine the content of charge-sheet and to provide appellant/… the copy of those portions of charge-sheet, which would answer the queries raised by appellant in his RTI application, within 3 weeks from the date of receipt of the order.